When it comes to the repair and restoration of stone and tile floors, countertops, walls and more, you can hang your hat on the expertise of StoneCare of Texas. 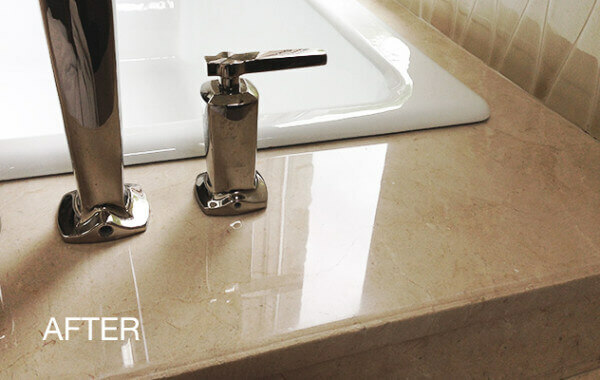 Whether it's granite, marble or travertine, we can restore the wow! to your stone floors and surfaces. 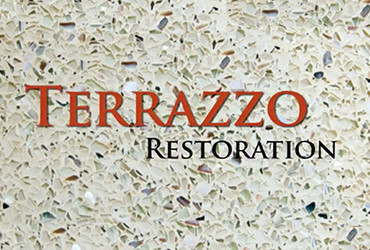 Our skilled terrazzo technicians can clean, repair, restore and maintain your terrazzo floors. From cost effective industrial floors to to high end design, we can polish, stain or dye your concrete. Saltillo, D’Hanis Tile, Terra Cotta... we can restore their beauty and seal them for protection. We have the knowledge and equipment to clean and preserve your brick and masonry. Let us deep clean your tile and grout, then seal the grout to inhibit soil from penetrating into it. StoneCare of Texas, a leader in surface restoration, provides all the care and attention you need for your floors, countertops and more. 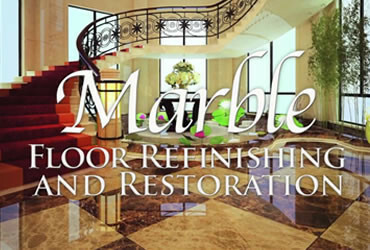 We are natural stone experts and can restore your marble, granite, slate, limestone, and terrazzo. Need concrete services? 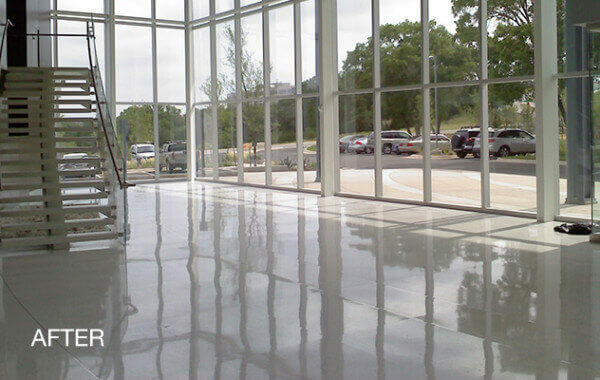 Much of our work is focused on transforming or restoring concrete floors. 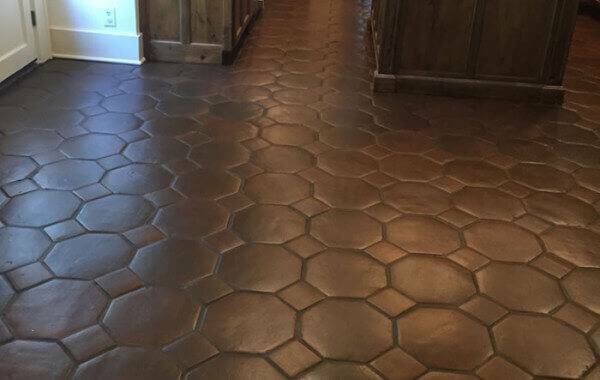 Do you have Saltillo, D’Hanis Tile or Terra Cotta that doesn't look as great as it once did? Our expert team has years of experience and know what it takes to make these artisan floors look great. 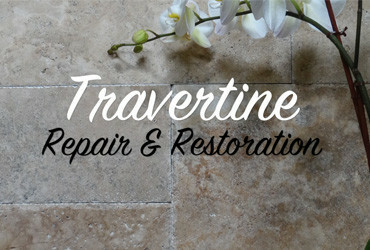 Whether residential, commercial or hospitality, we can customize our service to meet all your restoration requirements. What can you expect from working with Stonecare of Texas? You can have confidence, knowing that we are a company with a long established reputation in both the San Antonio and Austin areas. 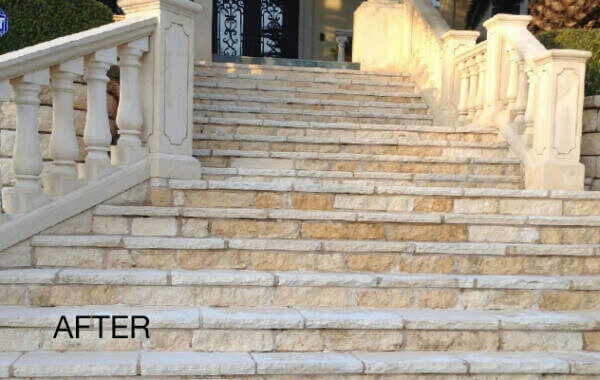 Years of experience coupled with staying on top of the latest methods and products, a commitment to outstanding service and outcomes, and a genuine belief in adhering to our Mission Statement: To be the finest company in the stone and tile industry, to deliver quality results with a great attitude in a timely manner. We're a company that cares about its employees and clients, and it shows in every project we undertake. Richard, I want to tell you what a great job your guys did for me. They were very polite, professional, neat and most importantly skilled in their work. StoneCare has exceeded all my expectations. Dear John, I have purposely waited four weeks since your crew completed their work on our marble floors and bath. I keep thinking that the shine will 'walk off.' But NOT YET! I will be glad to recommend you to anyone who inquires.